Via Monocle. Thanks to Wilson Tang for pointing this out. 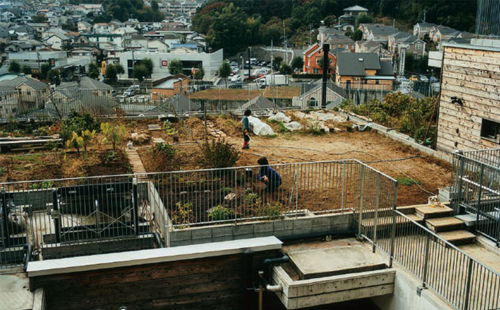 Twenty-nine Japanese families have found their version of happiness by creating their own idyll in a Tokyo suburb. Together with eco-architect Akinori Sagane they have built Kinoka no Ie, a community development in Machida-shi in the south of the city.